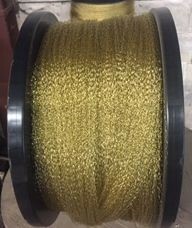 Wire Brushes | Industrial Brush Company, Inc. 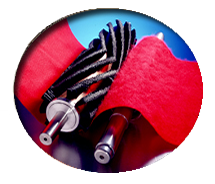 The Industrial Brush Company offers a complete line of "Double Backed" channel Wire Brushes used for a wide range of applications that require aggressive brushing. 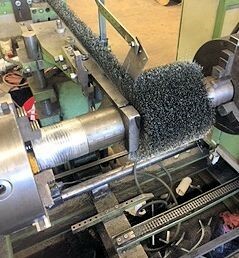 Our Wire Brushes are manufactured in continuous form and are then wound on to a metal core to create a Cylinder Brush. Users of our products have reported improvements in brush life as a result of using our "Double Backed" channel construction compared to standard "Single Band" technologies. By winding the channel in a "Close Wound" pattern, maximum density is achieved. 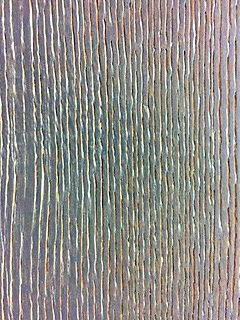 This pattern is best suited for aggressive brushing applications of a flat material. 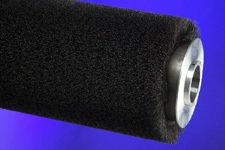 "Close Wound" brushes yield even bristle contact with maximum brush life. Contaminate build up can be a problem with this pattern. By varying the pitch of the channel in an "Open Wound" pattern, an infinite number of brush densities can be achieved. 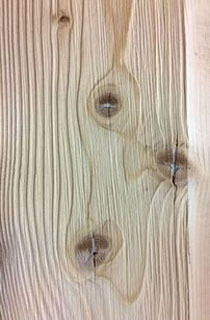 "Open Wound" patterns are best suited to less aggressive applications of irregular or more fragile surfaces. 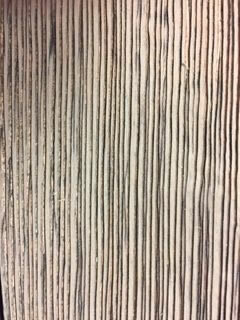 Wood Distressing that follows the grain is also a good fit for Open Wound Wire Brushes "Open Wound" brushes are also suited to applications where brush contamination is a factor. 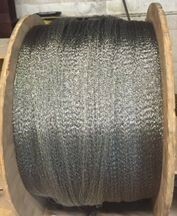 At the heart of successfully captivating wire filaments is our "Double Backed" channel construction. The wires are uniformly fed on to a moving outer metal band. The outer band has individual teeth punched in it that impale the wires. The outer band is merged with an inner band that is formed to produce a continuous strip. Our "Double Backed" channel allows us to secure light gauge and heavy gauge wires in maximum densities. Long and short trim fiber lengths are an option without running the risk of losing wires. 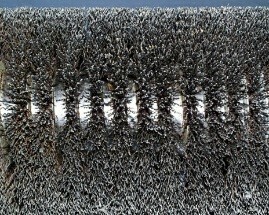 All of our "Double Backed" wire brushes are made with crimped filaments. 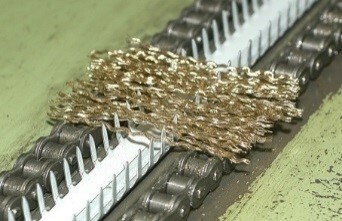 The crimping process gives the individual wires a spring like effect that reduces bristle fracture. 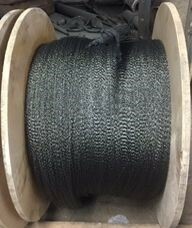 We stock Carbon Steel, Stainless Steel, Brass and Brass Coated Carbon Steel in a wide range of sizes. We can aid you in selecting the appropriate material to suit your requirements.